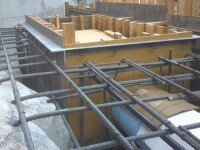 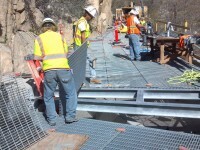 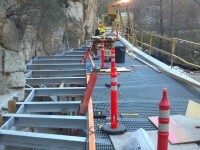 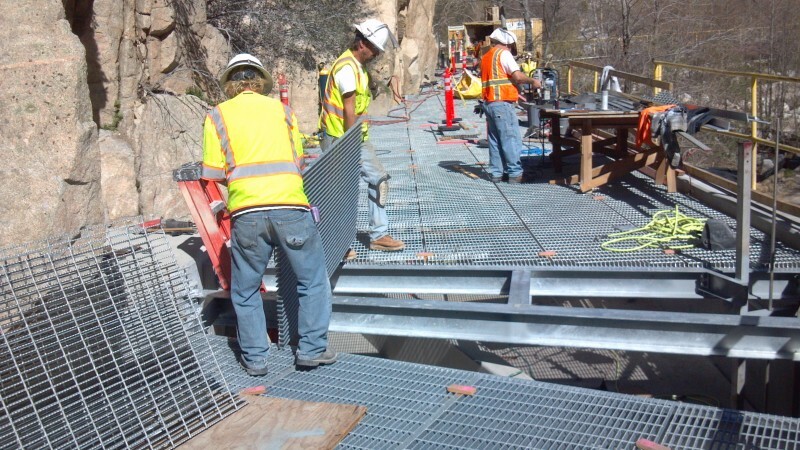 SCE Bear Creek Intake Structure • MCS Construction Inc. 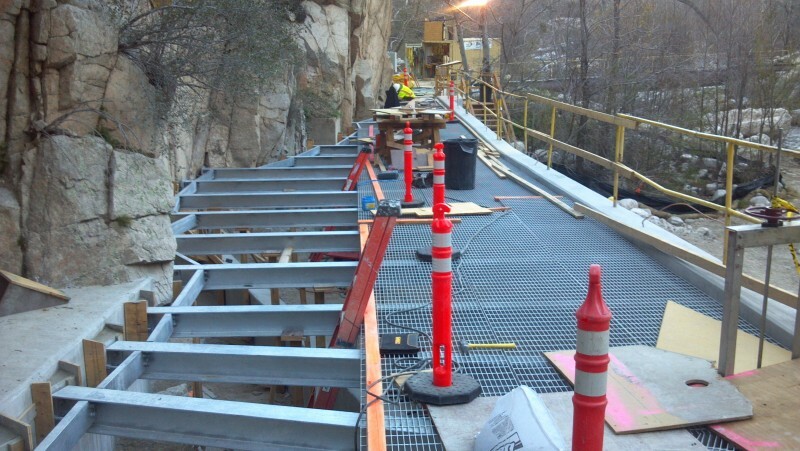 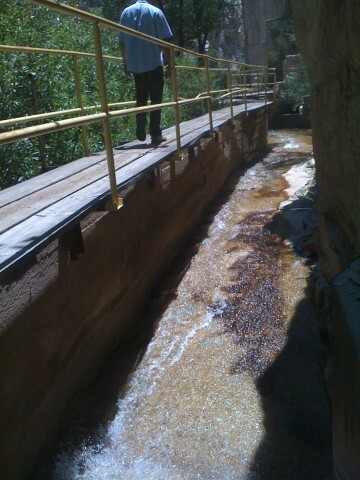 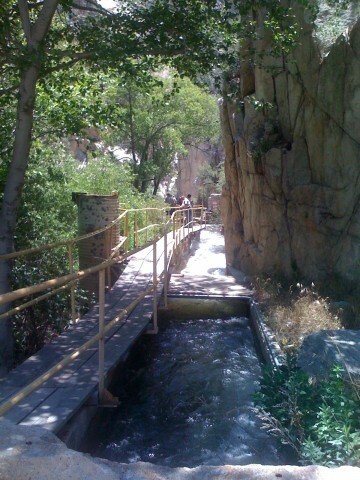 The Bear Creek Diversion Structure was originally constructed in the 1800s to divert Bear Creek to the Santa Ana hydroelectric projects. 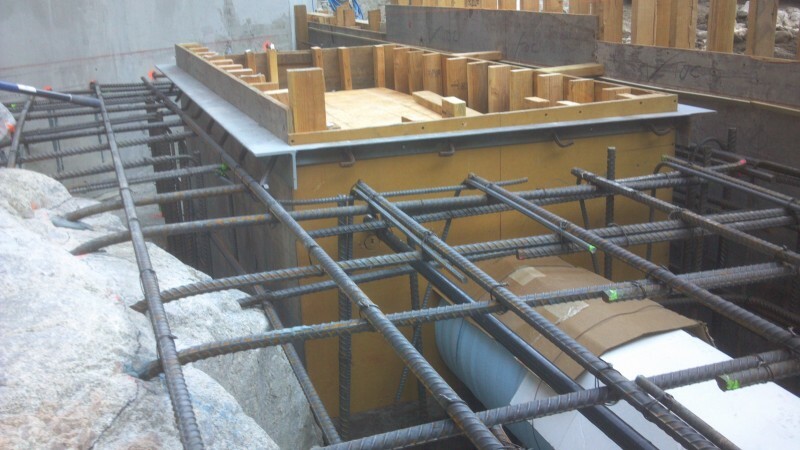 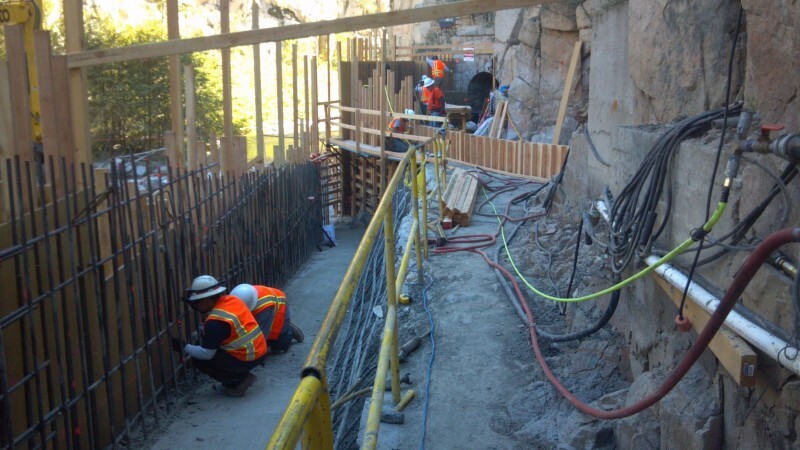 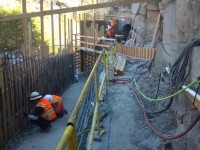 The project involved removal of the existing structure, including concrete and rock removal and site excavation, and installation of a new poured-in-place reinforced concrete structure, including several drilled and grouted anchors to tie the system to the existing rock foundation. 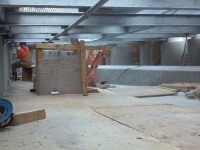 The walls were constructed by poured-in-place concrete with structural steel cross members. 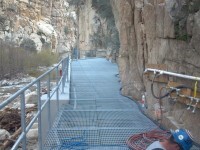 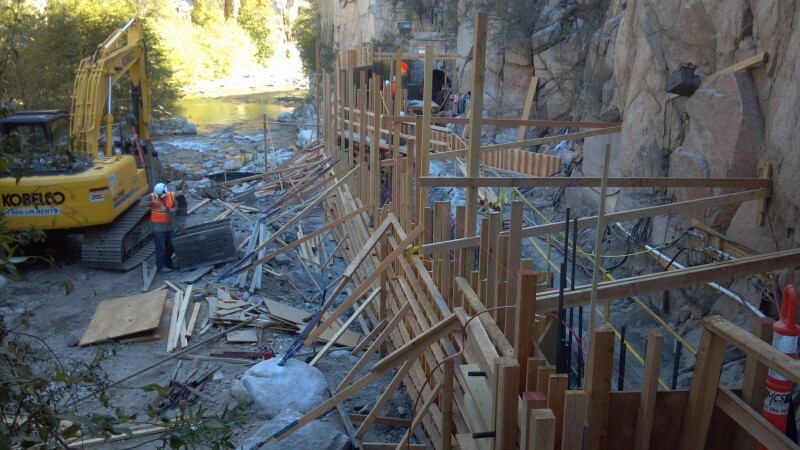 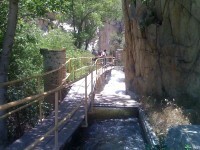 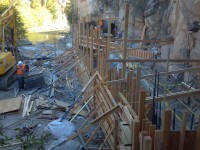 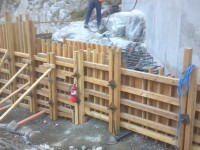 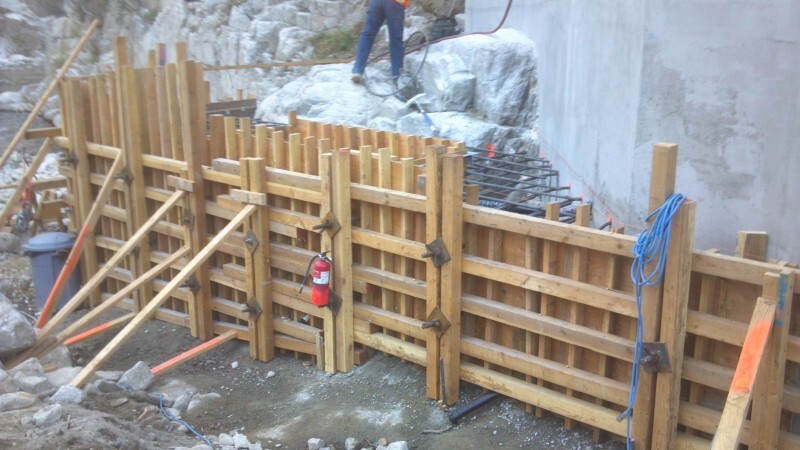 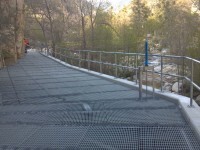 New gates, weirs and water monitoring systems were installed to update the intake structure. 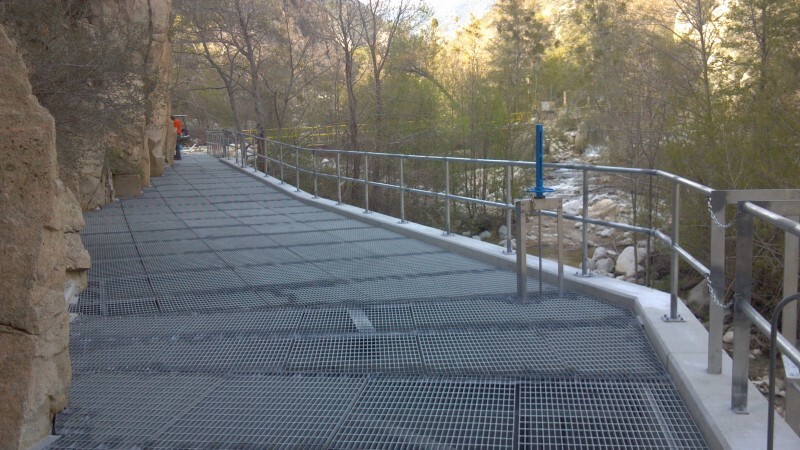 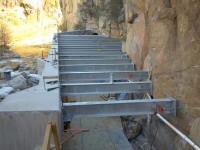 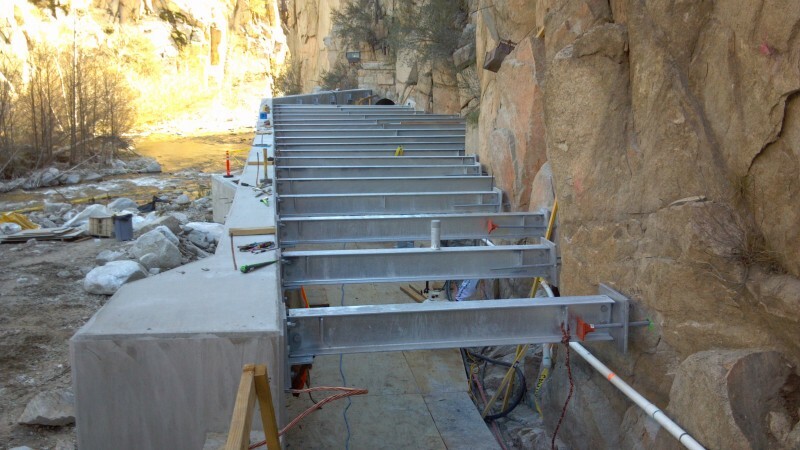 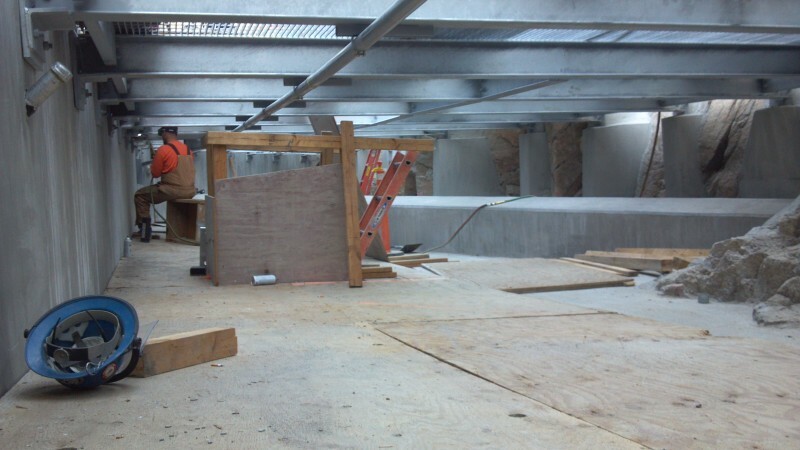 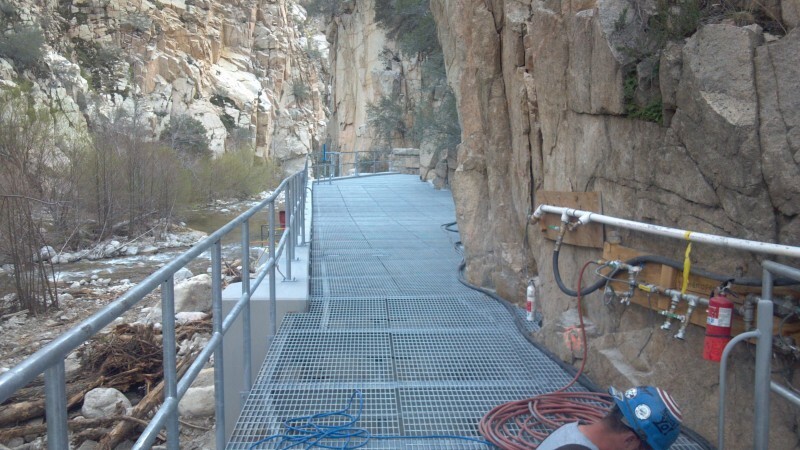 The entire structure and intake system was then covered with a structural walk deck to prevent rocks from entering the structure and site access. 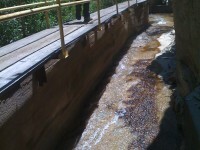 All work completed by MCS employees.